A study of Diego Rivera murals will help students learn more about a popular Mexican artist while also creating their own art focusing on everyday life. This lesson was designed as a cross-curricular Spanish and art project for a combined cultural experience. However, it can also be used as an individual Spanish lesson plan or art lesson plan. 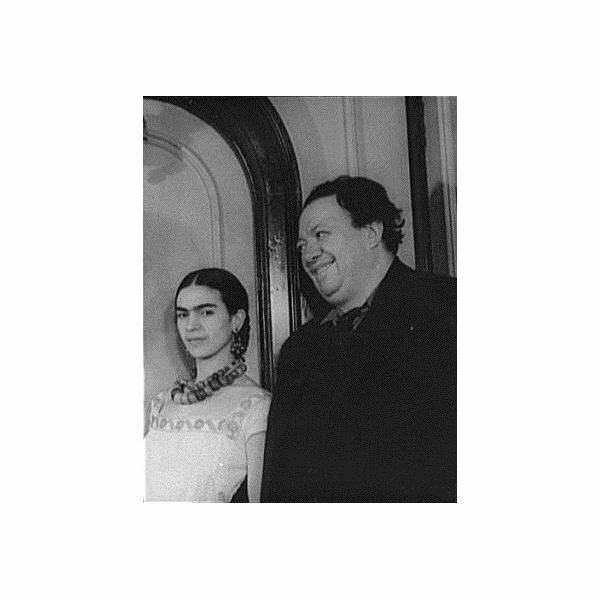 Diego Rivera is one of Mexico’s most famous artists. Rivera thought that his art should be accessible to the average person, not hidden away in museums. For this reason, he gravitated towards the public murals for which he is now most known. Diego Rivera’s murals combined the classical technique of fresco with folk art style and the artist’s work inspired a larger Mexican mural movement. Begin by presenting an overview of Diego Rivera to the group. This can take the form of a brief lecture or an interactive exploration such as a WebQuest for the students. The art teacher may want to focus on his techniques and artistic influences while the Spanish teacher may want to highlight his cultural significance. Spanish vocabulary can also be presented to the Spanish students. Note: The mural creating process will go more smoothly if teachers do a trial run before presenting the lesson to the class. Assign the students to groups of three or four. Try to place a mix of art and Spanish students in each group so that the art students may help guide the Spanish students in their artistic endeavors. Inform the students that in keeping with Diego Rivera’s emphasis on the common person and everyday life, they will be creating murals that celebrate student life. Although each student will create his or her own individual mural painting, each group should work together so that their pieces can combine to create a larger image. To ensure variety and to help students focus their ideas, you can assign each group a specific area of student life including sports, friendship, academics and more. Each student will first draw a mural design on tracing paper. Clip art images or pictures cut from magazines to trace may be helpful for students who lack artistic experience. They will still need to select appropriate images for their mural panel, but they won’t have to worry about their ability to draw. The next step is to lay the drawing over the foam tray. You may want to use a small amount of tape to hold it in place. Using pressure, trace over the lines of the drawing again to leave an impression in the tray. Follow the directions on the package to mix up a batch of plaster. Pour plaster into the foam trays and let them dry for the recommended length of time. If this leads to downtime during class, have another activity available for students. If you would like to hang the murals after they are completed, unbend paperclips and place half of each one into the wet plaster. You will want two or three hooks for each piece. Remove the dried plaster from the foam trays. The lines traced into the foam trays should appear in relief so that students can paint the images they created. For painting, watercolor is the most authentic paint to use. Rivera painted on a wet surface so that when dried, the color would permeate the material. However, with watercolors, it can be difficult to control how the color spreads across the plaster and it is not ideal for detail work. After students have painted their murals, let dry and display. Ask the students to share their thoughts on Diego Rivera’s work and the mural making process. This lesson plan can stand alone or be part of a larger study of artists from the Spanish-speaking world, including such notable figures as Frida Kahlo (Diego Rivera’s wife), Pablo Picasso, Salvador Dalí, Francisco Goya and many others. Photo from the Carl Van Vechten photograph collection (Library of Congress), reproduction number LC-USZ62-42516 DLC (b&w film copy neg. ).